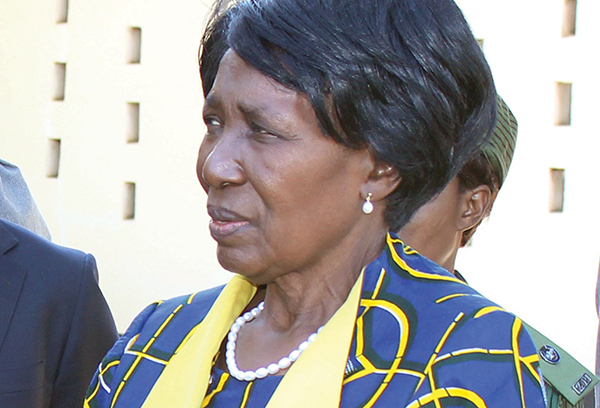 Vice-President Inonge Wina yesterday failed to say the “sela tubombeko” PF slogan, moments before President Edgar Lungu announced her as his running mate in the August 11 general elections. And Rupiah Banda had to leave the MMD convention in Kabwe yesterday in time to join President Lungu’s campaign rally at Heroes Stadium in Lusaka. Addressing thousands at the stadium, Vice-President Wina said the PF would rule for another 100 years. When President Lungu took to the podium, he eulogised Vice-President Wina and said he was glad to keep her as his running mate. when we sought for a successor. She is hard working and a sober person.